Two former security employees at Intuit — the makers of the popular tax preparation software and service TurboTax – allege that the company has made millions of dollars knowingly processing state and federal tax refunds filed by cybercriminals. Intuit says it leads the industry in voluntarily reporting suspicious returns, and that ultimately it is up to theInternal Revenue Service to develop industry-wide requirements for tax preparation firms to follow in their fight against the multi-billion dollar problem of tax refund fraud. Last week, KrebsOnSecurity published an exclusive interview with Indu Kodukula, Intuit’s chief information security officer. Kodukula explained that customer password re-use was a major cause of a spike this tax season in fraudulent state tax refund requests. The increase in phony state refund requests prompted several state revenue departments to complain to their state attorneys general. In response, TurboTax temporarily halted all state filings while it investigated claims of a possible breach. The company resumed state filing shortly after that pause, saying it could find no evidence that customers’ TurboTax credentials had been stolen from its network. 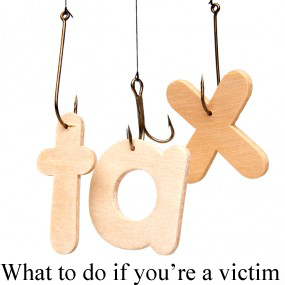 Kodukula noted that although the incidence of hijacked, existing TurboTax accounts was rapidly growing, the majority of refund scams the company has to deal with stem from “stolen identity refund fraud” or SIRF. In SIRF, the thieves gather pieces of data about taxpayers from outside means — through phishing attacks or identity theft services in the underground, for example — then create accounts at TurboTax in the victims’ names and file fraudulent tax refund claims with the IRS. Kodukula cast Intuit as an industry leader in helping the IRS identify and ultimately deny suspicious tax returns. But that portrayal only tells part of the story, according to two former Intuit employees who until recently each held crucial security positions helping the company identify and fight tax fraud. Both individuals described a company that has intentionally dialed back efforts to crack down on SIRF so as not to lose market share when fraudsters began shifting their business to Intuit’s competitors. Robert Lee, a security business partner at Intuit’s consumer tax group until his departure from the company in July 2014, said he and his team at Intuit developed sophisticated fraud models to help Intuit quickly identify and close accounts that were being used by crooks to commit massive amounts of SIRF fraud. But Lee said he was mystified when Intuit repeatedly refused to adopt some basic policies that would make it more costly and complicated for fraudsters to abuse the company’s service for tax refund fraud, such as blocking the re-use of the same Social Security number across a certain number of TurboTax accounts, or preventing the same account from filing more than a small number of tax returns. We found literally millions of accounts that were 100 percent used only for fraud. But management explicitly forbade us from either flagging the accounts as fraudulent, or turning off those accounts. The allegations surface just days after Senate Finance Committee Chairman Orrin Hatch (R., Utah) said his panel will be holding hearings on reports about a spike in fraudulent filings through TurboTax and elsewhere. The House Ways and Means Committee is reportedly looking into the matter and has held bipartisan staff-level discussions with the IRS and Intuit. The Federal Trade Commission (FTC) said it received 332,646 identity theft complaints in the calendar year 2014, and that almost one-third of them — the largest portion — were tax-related identity theft complaints. Tax identity theft has been the largest ID theft category for the last five years. According to a recent report (PDF) from the U.S. Government Accountability Office(GAO), the IRS estimated it prevented $24.2 billion in fraudulent identity theft refunds in 2013. Unfortunately, the IRS also paid $5.8 billion that year for refund requests later determined to be fraud. The GAO noted that because of the difficulties in knowing the amount of undetected fraud, the actual amount could far exceed those estimates. Lee said the scammers who hijack existing TurboTax accounts most often will use stolen credit cards to pay the $25-$50 TurboTax fee for processing and sending the refund request to the IRS. But he said the crooks perpetrating SIRF typically force the IRS — and, by extension, U.S. taxpayers — to cover the fee for their bogus filings. That’s because most SIRF filings take advantage of what’s known in the online tax preparation business as a ‘refund transfer’, which deducts TurboTax’s filing fee from the total amount of the fraudulent refund request. If the IRS then approves the fraudulent return, TurboTax gets paid. Lee confirmed Kodukula’s narrative that Intuit is an industry leader in sending the IRS regular reports about tax returns that appear suspicious. But he said the company eventually scaled back those reports after noticing that the overall fraud the IRS was reporting wasn’t decreasing as a result of Intuit’s reporting: Fraudsters were simply taking their business to Intuit’s competitors. We started to see not only our fraud numbers but also our revenue go down before the peak of tax season a couple of years ago,” Lee recalled. “When we stopped or delayed sending those fraud numbers, we saw the fraud and our revenue go back up. Lee said that early on, the reports on returns that Intuit’s fraud teams flagged as bogus were sent immediately to the IRS. KrebsOnSecurity obtained a copy of a recording made of an internal Intuit conference call on Oct. 14, 2014, in which Michael Lyons, TurboTax’s deputy general counsel, describes the risks of the company being overly aggressive — relative to its competitors — in flagging suspicious tax returns for the IRS. That recording was shared by Shane MacDougall, formerly a principal security engineer at Intuit. MacDougall resigned from the company last week and filed an official whistleblower complaint with the U.S. Securities and Exchange Commission, alleging that the company routinely placed profits ahead of ethics. MacDougall submitted the recording in his filing with the SEC. For its part, Intuit maintains that it is well out in front of its competitors in voluntarily reporting to the IRS refund requests that the company has flagged as suspicious. The company also stresses that it has done so even though the IRS still has not promulgated rules that require TurboTax and its competitors to report suspicious returns — or even how to report such activity. Intuit executives say they went to the IRS three years ago to request specific authority to share that information. The IRS did not respond to requests for comment. Intuit officials declined to address Lyons’ recorded comments specifically, although they did confirm that a company attorney led an employee WebEx meeting on the date the recording was made. But David Williams, Intuit’s chief tax officer, said what’s missing from the recorded conversation excerpted above is that Intuit has been at the forefront of asking the IRS to propose industry standards that every industry player can follow — requests that have so far gone unheeded. Robert Lanesey, Inuit’s chief communications officer, said Intuit doesn’t make a penny on tax filings that are ultimately rejected by the IRS. Williams added that it is not up to Intuit to block returns from being filed, and that it is the IRS’s sole determination whether to process a given refund request. Earlier this month, Intuit CEO Brad Smith sent a letter to the commissioner of the IRS, noting that while Intuit sends reports to the IRS when it sees patterns of suspicious behavior, the government has been limited in the types of information it can share with parties, including tax-preparation firms. Lee and MacDougall both said Intuit’s official approach to fighting fraud is guided by a policy of zero tolerance for so-called “false positives” — the problem of incorrectly flagging a legitimate customer refund request as suspicious, and possibly incurring the double whammy of a delay in the customer’s refund and an inquiry by the IRS. This is supported by audio recordings of conference calls between Intuit’s senior executives that were shared with KrebsOnSecurity. On the same conference call, MacDougall can be heard asking Lyons why the company wouldn’t want to use security as a way to set the company apart from its competitors in the online tax preparation industry. It is always possible for Intuit to build a better mousetrap. But because it doesn’t solve the systemic problem of bad guys doing this, all it really does is shoot us in the foot and make it slightly easier for IRS to continue to kick the can down the road. Intuit’s Lanesey confirmed Lee’s claim that Intuit adds a delay — it is currently three weeks — from the time a customer files a refund claim and the time it transmits “scoring” data to the IRS intended to communicate which returns the company believes are suspicious. Lanesey said the delay was added specifically to avoid false positives. Unfortunately, three weeks is about how long the IRS takes to decide whether to reject or approve tax refund requests. In an August 2014 report to Congress on the tax refund fraud epidemic, the GAO said that for 2014, the IRS informed taxpayers that it would generally issue refunds in less than 21 days after receiving a tax return — primarily because the IRS is required by law to pay interest if it takes longer than 45 days after the due date of the return to issue a refund. Williams said Intuit is open to shortening its reporting delay. The scourge of tax fraud is hardly a problem confined to TurboTax, but with nearly 29 million customers last year TurboTax is by far the biggest player in the market. In contrast, H&R Block and TaxAct each handled seven million prepared returns last year, according to figures collected by The Wall Street Journal. Both Lee and MacDougall said they wanted to go public with their concerns because TurboTax and the rest of the industry have for so long put off implementing stronger account security measures. MacDougall said he filed the whistleblower complaint with the SEC because he witnessed a pattern of activity within Intuit’s management that suggested the firm was not interested in stopping fraud if it meant throttling profits when none of its competitors were doing the same. In information security terminology, a honeypot is a virtual holding area to which known or suspected fraudsters are redirected, so that their actions and activities can be monitored and mined for patterns that potentially aid in better identifying fraudulent activity. Honeypots also serve a more cathartic — albeit potentially just as useful — purpose: They tie up the time and attention of the fraudsters and cause them to waste tons of resources on fruitless activity. But MacDougall said he was stunned when his boss emphatically rejected his idea for use on TurboTax accounts. Instead, she brought up the fraud-as-a-balloon analogy, MacDougall said. Only after Intuit was forced to temporarily suspend state filings earlier this month did the company’s chief executive announce plans to beef up the security of customer accounts. Intuit now says it plans to start requiring customers to validate their accounts, either via email, text message or by answering questions about their financial history relayed through the service by big-three credit bureau Experian. Lee says those requirements are long overdue, but that they don’t go nearly far enough considering how much sensitive information Intuit holds about tens of millions of taxpayers. “Tax preparers ought to apply similar ‘know your customer’ practices that we see in the financial markets,” he said. “When you give your most sensitive data and that of your family’s to a company, that company should offer you more security than you can get at Facebook or World of Warcraft,” Lee said, referring to two popular online businesses that have long offered the type of multi-factor authentication that Intuit just announced this month. At a minimum, Lee said, tax preparation companies should require users to prove they have access to the phone number and email address that they assign to their account, and should bar multiple accounts from using the same phone number or email address. TurboTax and others also should allow only one account per Social Security number, he said. Intuit’s David Williams said the company is focused on remedying some of the account issues raised by Lee and others. This entry was posted in Accountants CPA Hartford, Articles and tagged David Williams, H&R Block, Indu Kodukula, Intuit, Michael Lyons, refund transfer, Robert Lanesey, Robert Lee, Shane MacDougall, TaxAct, TurboTax. Bookmark the permalink.